Tis the season to get excited! 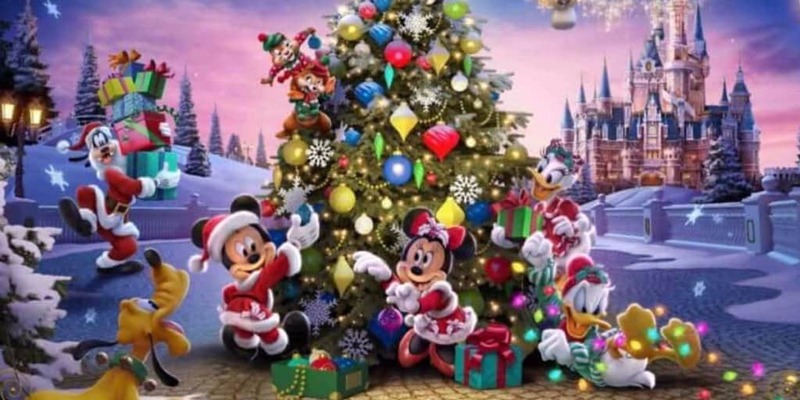 Shanghai Disneyland has announced its Christmas celebrations. Running from November 27, 2017, to January 1, 2018, the event includes festive decorations, a special tree lighting ceremony, new character entertainment, and of course Christmas food and merchandise! 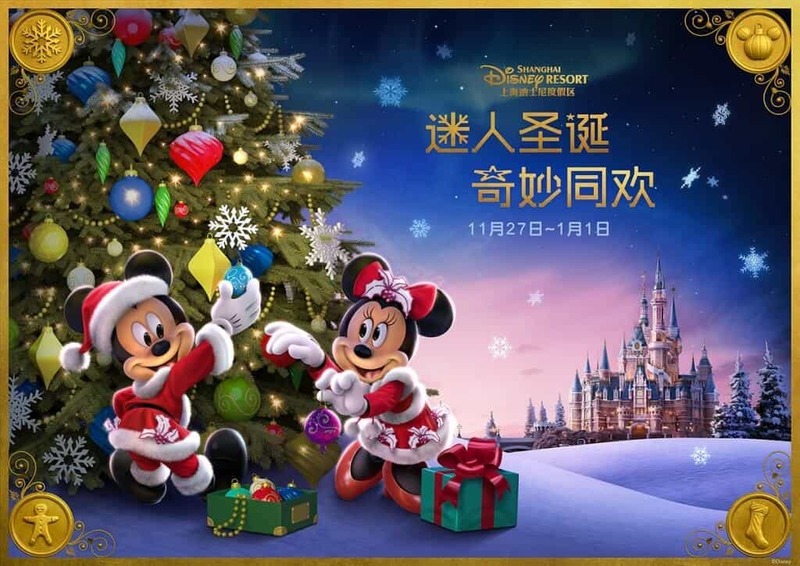 To get guests in the Christmas spirit Shanghai Disneyland is set for a wonderful festive transformation. Christmas garlands, ornaments, Mickey-shaped Christmas wreaths and traditional red bows will be springing up across the park. Themed Christmas trees also appear at Disneytown and the resort’s two hotels — Shanghai Disneyland Hotel and Toy Story Hotel. However, the centrepiece of the celebrations is the 60 foot tall Christmas tree by the park’s Enchanted Storybook Castle. Each evening, guests can join Olaf from Frozen for the “When We’re Together” Tree Lighting Ceremony. You’ll see Olaf explore different holiday traditions, and brings the tree to life with some Disney magic and stunning illuminations. As well as the tree lighting ceremony guests can look forward to meeting their favourite characters in the park. As guests enter arrive, Mickey and Minnie, Donald, Daisy, Pluto, Duffy, ShellieMay and other Disney favourites will don their best Christmas outfits to greet guests. Guests can also meet Santa Goofy, dressed in his iconic Santa suit and white beard, for a special Christmas photo. Each morning the Shanghai Disneyland band and characters will also celebrate the season with the high energy Happy Holidays Mickey! And finally, be sure to look out for Christmas Swing pop-up shows where Mickey and the gang will surprise guests with fun high-stepping routines. There’s no need to wait until Christmas, you can buy yourself some special Christmas presents at Shanghai Disneyland! 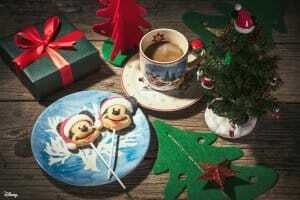 The Park’s Sweethearts Confectionery is set to transform into a Christmas gift shop with festive decorations and exclusive Shanghai Disneyland merchandise. 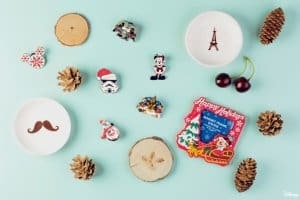 The shop’s range will include 40 limited items such as Christmas stockings, decorative ornaments, souvenirs and holiday greeting cards. With a range of Christmas sweaters, Santa hats, reindeer beanies, and Christmas light bulb necklaces too! 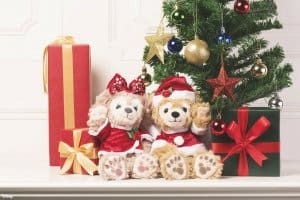 But most importantly the park is debuting exclusive Duffy and ShellieMay plushes, with everyone’s favourite bears sporting new Christmas hats and sweaters! 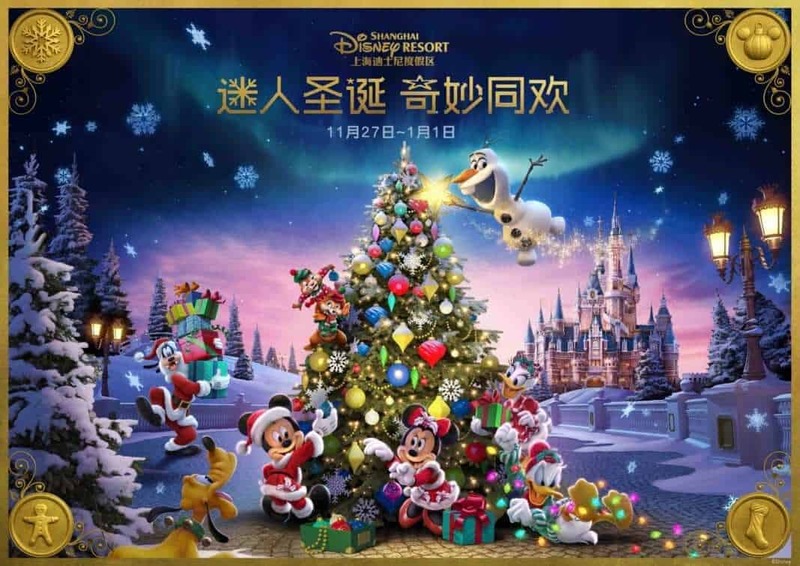 Once you’re done shopping, Shanghai Disney Resort has enough festive food and drinks to satisfy the hungriest explorer. A new Christmas menu at the Royal Banquet Hall will include seasonal seafood and beef dishes, Christmas log cakes, and even mulled wine. While the Wandering Moon Restaurant’s Christmas Family Feast promises holiday delights, including Disney’ s wildly popular turkey legs. 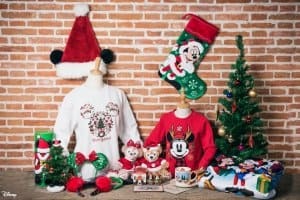 Sweet treats at Remy’s Patisserie will include Christmas fruitcake, cupcakes and new hot drinks with special Mickey sleeves. Finally, guests looking for a festive snack can buy the new Duffy popcorn bucket, featuring the Disney Bear in a special Christmas cap. Planning your trip to Shanghai Disneyland? Read our full trip planning guide, Grand Opening Trip Report, and listen to our exclusive podcast episodes! Everything you need to create the best trip to Shanghai and enjoy everything the park has to offer in its second year.